For this week’s chill-outs we have Breton fish soup, summer chicken and a tasty vegetarian stuffed pasta. Below you will find the different chill-out dishes The Grass Company Spoorlaan has for week 16, 2018. 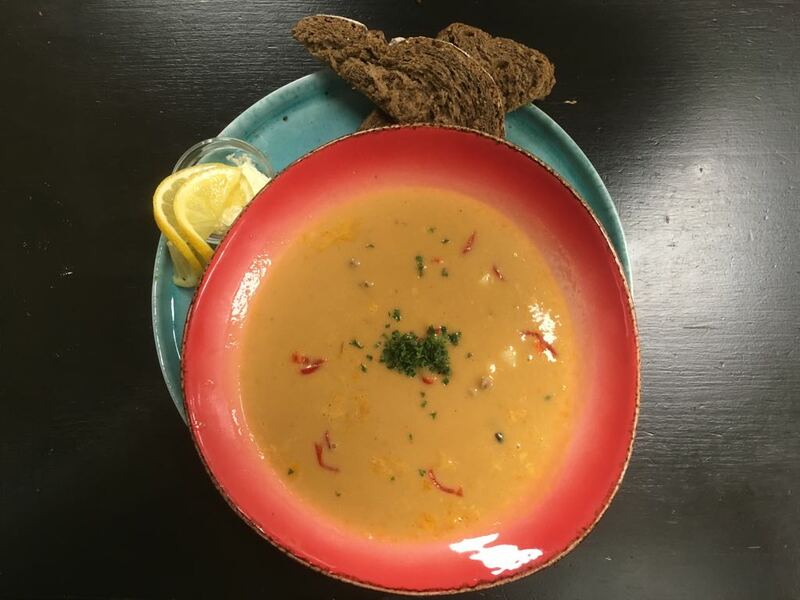 Brittany fish soup with various fish, toast and rouille. 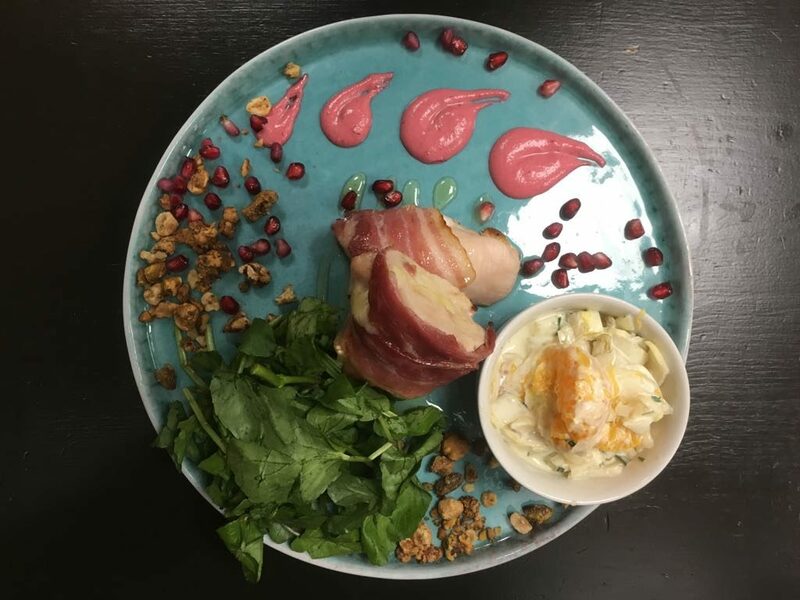 Summer filled chicken with brie, honey, bacon, pomegranate, walnut crumble, fresh chicory salad, cream of beetroot and watercress. 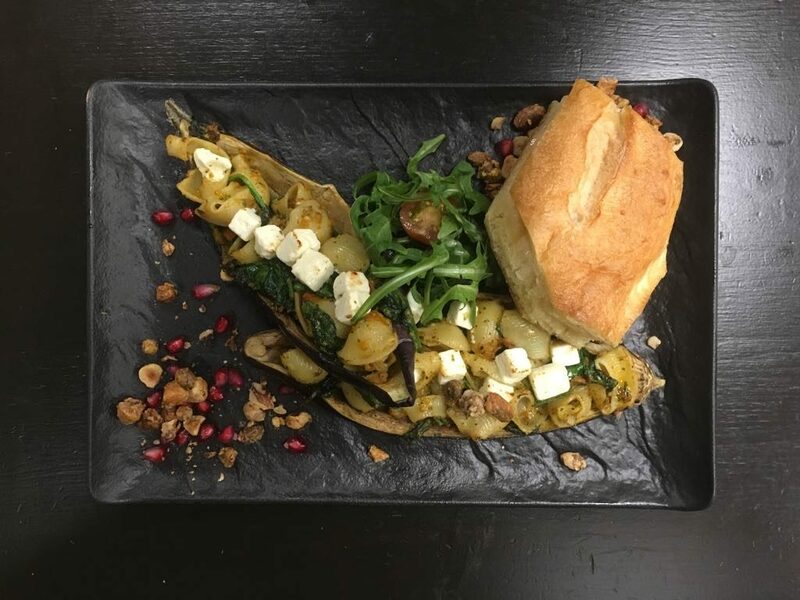 pasta-filled aubergine with tomato pesto sauce, oregano, pomegranate, spinach, parmesan cheese, walnut crumble, feta and garlic bread. These weekly dishes are available until Wednesday April the 18th at The Grass Company Spoorlaan. Reservations are not mandatory but recommended if you want to be sure of a place.